This Wood grain card might appeal to guys more than women, but I love the touch of wood in a card. The Die Cut Divas has a challenge that gives a nod to the season here in the Northern Hemisphere, Autumn and specifically in the United States, Halloween. Use either theme (to me, it's all Autumn because Halloween is in the Fall) and join the challenge at Die Cut Divas. This frame actually has six (6) squares, but it's so easy to cut the middle bar right out for a bigger area and a wider use of the Garden Patch die. You don't have to buy another die, although I can't say I'm not going to buy any more dies because I am. 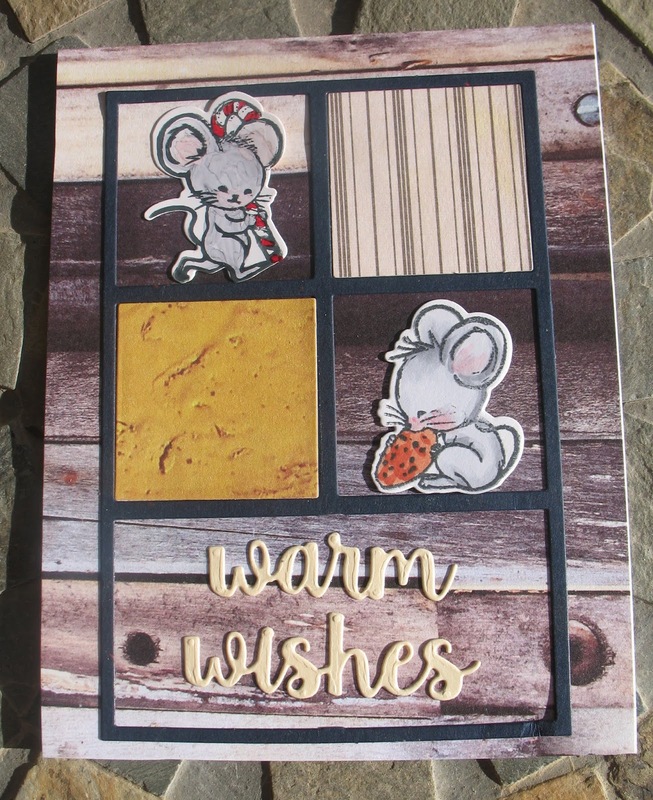 I wanted something a bit masculine and woody even though the mice don't appear masculine, but I think they create a fun element. I also posted this at A Bit of This and That.